The groundhog shown in the movie Groundhog Day looks like a cute little creature, but, in reality, there's nothing cute about these animals. A groundhog (Marmota monax)—otherwise known as a woodchuck, land beaver, or whistle pig—is a rodent. It will mercilessly eat the plants in your garden until there's nothing left and will make holes all over your yard. 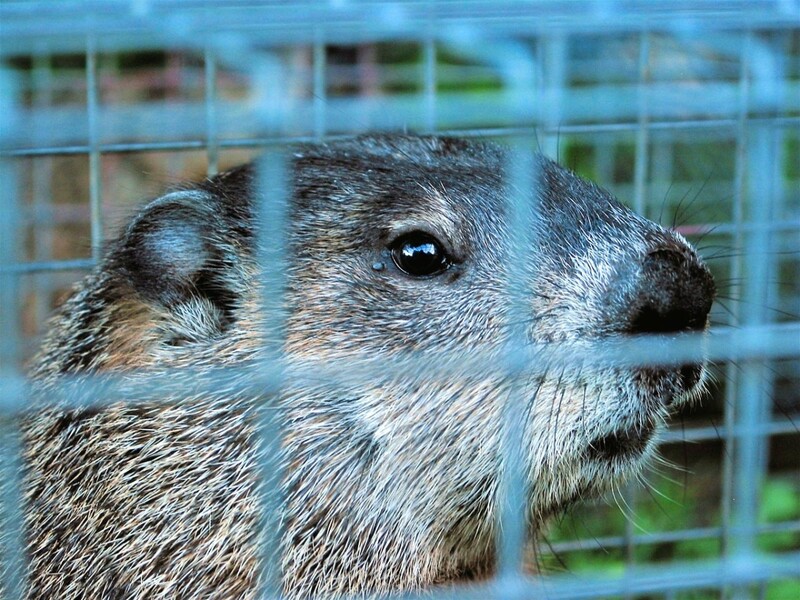 Bait the groundhog into a trap, catch it, and then release it in a wooded area five miles away from your home. Create vibrations in the ground to scare them away. Smoke them out of their tunnel. Pour ammonia down their tunnel. Deter with garlic and pepper. Get a dog or cat (or sprinkle their urine and fur around the yard). Scatter human hair around the yard. Use agricultural lime to burn their feet. Sprinkle talcum powder in the garden. Use fencing and chicken wire as prevention. Perhaps one of the most humane ways to get rid of groundhogs is to trap them and then release them somewhere far away. Groundhogs are not usually aggressive animals but will bite when they feel threatened, so please wear thick gloves when catching and releasing. Wear thick rubber gloves so that you don't transfer your scent onto the trap. If they can smell that a human has handled the trap, they will not go near it. Place the trap 5 to 10 feet from the entrance of their burrow. Camouflage the trap by spraying it with water and rolling it in dirt. Then throw some twigs, leaves, grass, and/or branches on top of, around, and inside the trap. Also place a brick or two on top of the cage to keep it from rattling and scaring the groundhog away. Bait the trap with fruits or whatever your groundhog loves eating from your garden. Groundhogs are especially attracted to sweet fruits, such as strawberries, blueberries, cantaloupe, peaches, or corn. They also love lettuce, cucumber, and green beans. Place the bait all the way inside the trap so that the groundhog has to enter the trap fully. You can also create a bait trail leading up to the trap. Keep a close watch on the cage because once the groundhog is trapped, it will grow anxious and might injure itself. Wear thick gloves to avoid catching diseases, cover the cage with a towel to keep the groundhog calm, and hold the trap away from your body when transferring to your car. Drive to an area at least 5 miles away (10 miles is even better). Make sure the area where you choose to release the groundhog is covered (a wooded area with lots of trees, logs, and groundcover). Groundhogs feel comfortable living in covered areas and won't make their way back to your yard or someone else's yard if they feel safe enough to build their home there. What's the Best Bait to Trap a Groundhog? Groundhogs love all fruits, but they go crazy for cantaloupe, and it is the best bait to use for a successful catch. Rub the inside and outside of the trap with cantaloupe, and then place a few pieces of cantaloupe cut into 2-inch cubes all the way inside the trap. You can also create a cantaloupe trail leading into the trap. Should I Use a Live Trap or a Lethal Trap? People have found the most success when using a one-door live trap (cage trap) that is about 12"x12"x32". These types of traps trigger the door to close behind the animal when it enters. Stay away from lethal traps, which snap shut around the body and kills the groundhog. You may have a hard time disposing of the carcass, and a dead groundhog may attract other unwanted animals to your garden. There's also the risk that a domestic pet, such as a cat, may enter the trap and get killed. Note: In some states, trapping is illegal, so be sure to check your state's laws if you plan to use this method. If the state allows it, this might be a great way to get even with an enemy. The Hatfields and McCoys would approve. These animals don't like vibrations and will move if their home is constantly shaking. Place lawn windmills, spinning pinwheels, or a vibrating sonic device near the entrance of their burrow or on top of their burrow to scare the groundhogs away. Windchimes are also great disturbances. 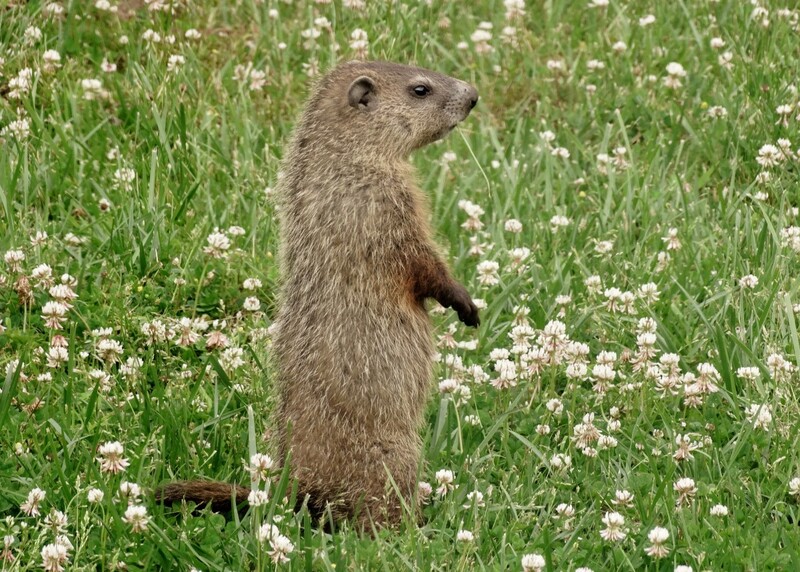 If you place vibrating devices around the perimeters of your yard, it will deter the groundhog from coming near. Fumigation kills the groundhog while it is inside the burrow. The easiest way is to buy gas cartridges (also known as gas bombs). They are usually sold at garden centers or can be found on Amazon. Make sure the groundhog is inside the hole before fumigating. This may take a bit of time for observation. Once you're sure the groundhog is inside, fill all of the entrances except one. Then light the gas cartridge, throw it into the open entrance, and quickly fill it up with dirt to trap the groundhog and the carbon monoxide inside. Some people also run a hose from their car's exhaust and release the fumes into the groundhog's hole. Again, be sure to block all of holes. Both of these methods will kill the groundhog or make him run for miles if he finds a way out. My preferred method for getting rid of groundhogs is to pour ammonia down their tunnel; they will immediately stop using it. I haven't seen a single groundhog after using this technique. It's possible that they made new tunnels in the woods behind us or have run to the neighbors yard, but no new groundhogs have appeared thus far. Make sure you find all of the holes because there are almost always several of them. You made need to do this over several days to effectively scare them away for good. This method worked well for my mother too. She had groundhogs digging under the foundation of her barn, and the ammonia worked like a charm. The best outcome you can hope for with this method is that the groundhogs will make new holes elsewhere, or they will be gone long enough for you to build fences around your yard and prevent them from digging back into your property. Always wear gloves and goggles when handling ammonia because it can burn your skin and highly irritate your eyes. If you can't buy sudsy ammonia, you can make your own by mixing 3 parts water with 1 part ammonia, plus a squirt of dishwashing detergent. Pour the solution down their holes. This creates fumes that the woodchuck or groundhog cannot bear. You can also spray the solution around the entrances and exists of their tunnels. If you want to make the solution even more potent, add castor oil and cayenne pepper. They hate the smell of castor oil and the taste of pepper. Groundhogs hate the smell of garlic and pepper. To deter them from ever returning to your garden, crush some garlic and pepper and throw it into their burrows. Do this day after day until they flee. You can also make a garlic and pepper spray to spray your vegetables. Woodchucks will not touch a single thing that smells pungent or spicy. For added protection, scatter the crushed garlic and pepper around your garden to prevent them from entering. Dogs are cats pose a threat to the groundhog and are seen as predators. The groundhog will move someplace else if it feels like it can't live in peace. If you don't have a dog or a cat or can't get one, borrow some dog or cat urine and/or dog or cat hair and sprinkle it around your garden. If you can locate their burrows pour dog urine or cat litter in and around their entrances. This will definitely prompt them to move away. 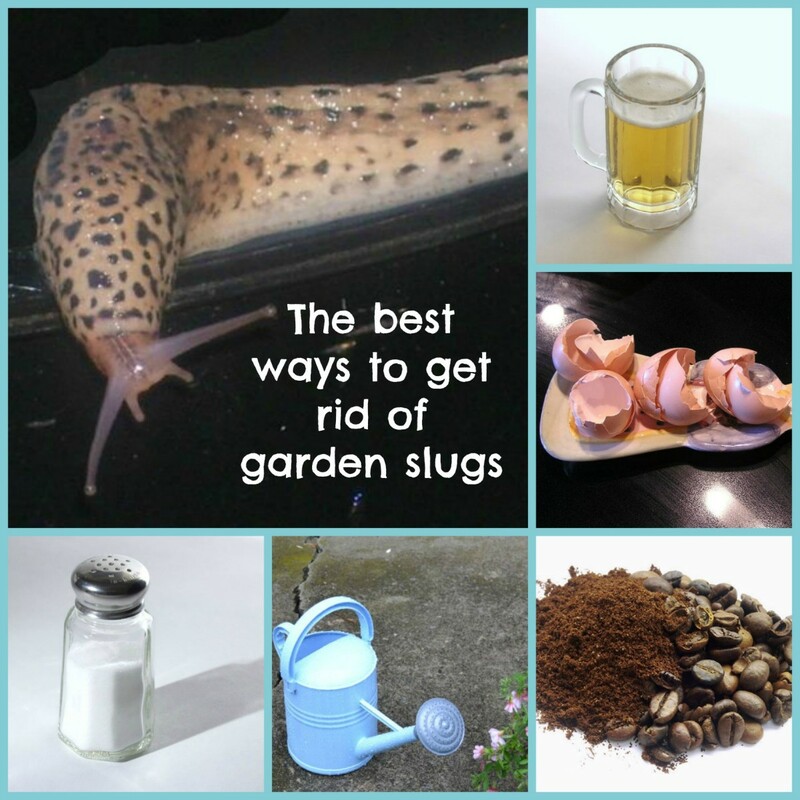 You can prevent them from coming back by pouring urine and sprinkling hair around the perimeters of your yard as well. Humans are also threatening to the woodchuck, so spoiling their natural habit with the scent humans will scare them away for good. Take some clippings of your hair and secure inside a mesh bag. Stake the bag into the ground around your garden to prevent them from entering. Also throw a bunch of hair clippings into their burrows. This will drive them mad with paranoia. If you spread some agricultural lime near the hole's entrance, it will burn the animal's feet, and it will go someplace else. 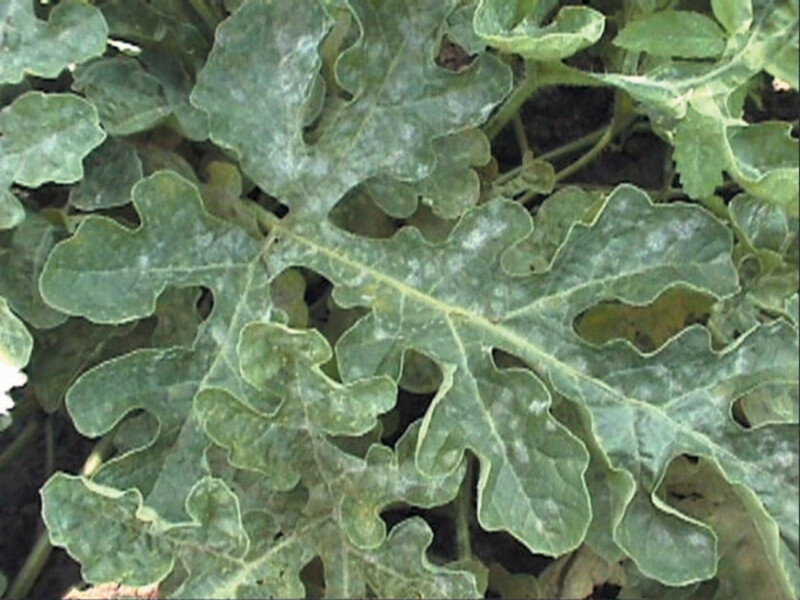 You can also spread lime around plants you'd like to prevent from being eaten. Groundhogs will steer clear of anything treated with talcum powder because they hate the smell, so it is effective with preventing groundhogs from eating your garden, but it may not be strong enough to deter them from burrowing and creating tunnels in your yard. To keep them from entering your yard once you scare them away or get rid of them, build fencing at least 2 feet deep into the ground to prevent digging and least 3 feet tall to prevent them from jumping over the fencing! If your main concern is protecting your plants, then deter from digging by planting chicken wire in an L-shape. Bend the bottom part of the chicken wire at 90 degrees (into an L shape). When you plant the chicken wire, the L should point away from your garden. This way, when the woodchuck digs, he will hit the mesh and turn around. Purchase some animal repellent at the store. I found it for around eight or nine dollars last year at Walmart. Although animal repellent may work for discouraging groundhogs from eating your vegetables, it is not strong enough to get rid of groundhogs. 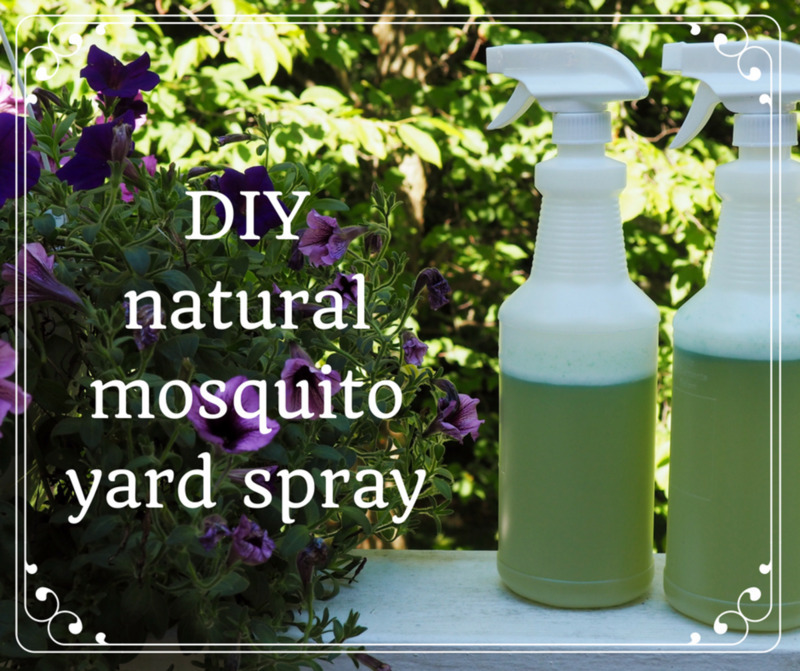 Plus, you will need to keeping spraying repellent in your garden everyday. I've heard they taste great. The best method is to braise the groundhog like you would a rabbit. Since I'm not into guns, I don't use this method. Note: Be sure to remove the scent glands from under the armpits. If you don't, they can ruin the meat. The scent gland looks like a yellow kernel of fat. Do Mothballs Keep Groundhogs Away? Groundhogs hate the smell of mothballs, but the truth is, they are just not strong enough to scare these rodents away. Some people report mild levels of success, but most people say mothballs don't work at all. In brief, mothballs are not a strong deterrence against groundhogs, and you would be wise to use more effective methods, such as trapping or spraying ammonia. 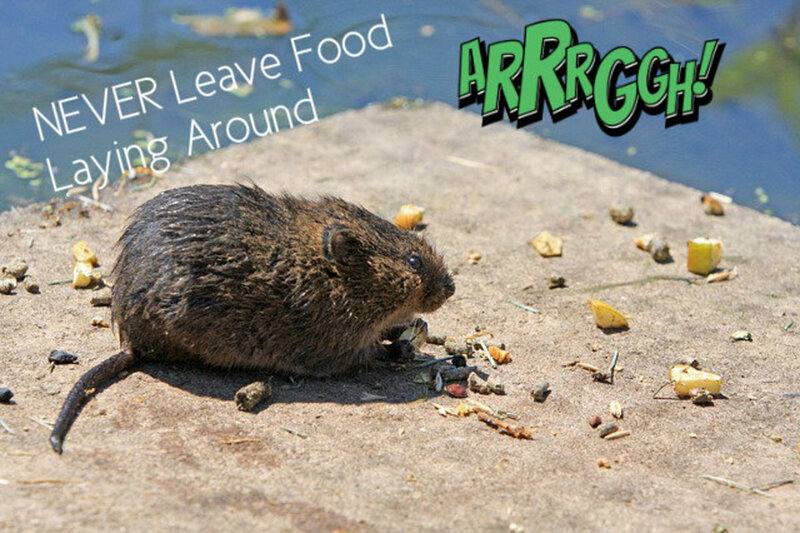 Have You Ever Had to Deal with Woodchucks in Your Yard? 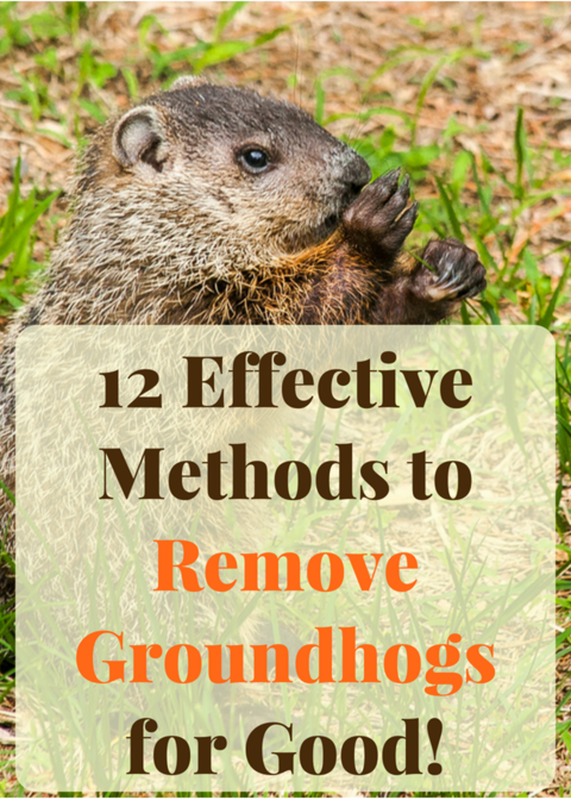 Once you've successfully removed every groundhog from your property, take preventive measures. Build a fence at least 2 feet into the ground and 3 feet tall. 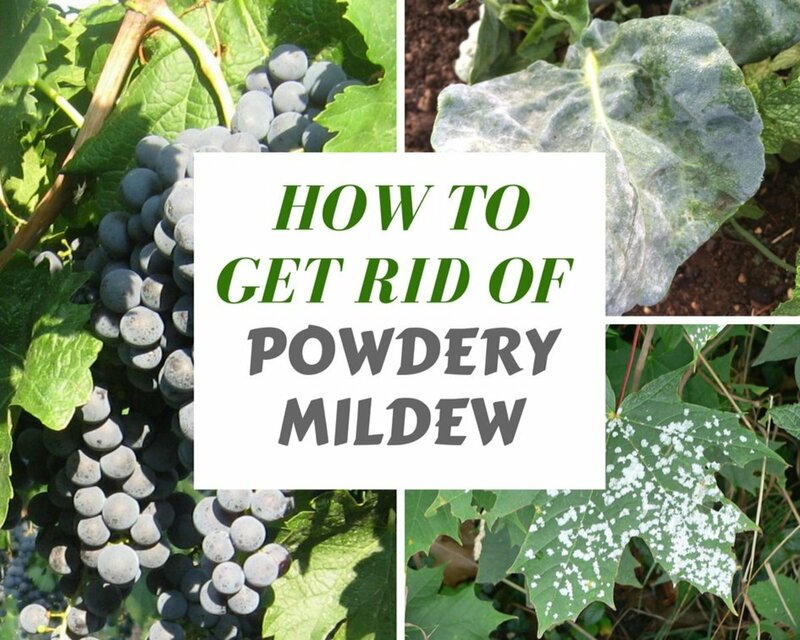 Spray the fencing and the perimeters of your property with pepper spray. Spray your garden as well. Put some cat or dog hair into some mesh bags, and stake the bags into the ground around the fencing. Also place some crushed garlic or pepper anywhere you want to prevent the groundhog from entering. Groundhogs hibernate from September to early October. Harvest vegetables as early as possible so that there won't be any available food for them when they come out of hibernation. Groundhogs feel endangered in exposed spaces. Trim back overgrown foliage, and remove piles of dirt or leaves. With few places to hide or take cover, the groundhog will not feel safe enough to make tunnels. If there are already tunnels from previous groundhogs, fill them in! Use vibrating devices to make the ground shake. This scares the groundhog away! What Is a Woodchuck or Groundhog? Woodchucks don't eat wood at all. The saying, "How much wood would a woodchuck chuck, if a woodchuck could chuck wood," is just a saying and nothing more. Their main food sources are vegetation, grass, nuts, and small insects, like grubs. They will also occasionally eat smaller animals. These animals usually weight from four to nine pounds, but in ideal conditions, they can weigh as much as 31 pounds. On average, they live about six years but have been known to live in zoos for as long as 14 years. Groundhogs make underground tunnel systems that feature holes as entrances and exits in the ground. These provide safety for the groundhogs when a predator is in their midst but are unsightly wreaking havoc on lawns. A member of the marmot family and the relative of ground squirrels, the groundhog is a lowland creature that hibernates during the winter months. A separate hole is usually dug just for this purpose. If you plan on killing the animal in its burrow, don't do it during winter because their hole will be closed off. New tunnels are dug when the animal awakens in the spring, so methods such as trapping and poisining are best done during spring. Groundhogs can usually be seen standing on their hind legs in an alert position, guarding themselves and other groundhogs. The reason some people call them whistle pigs is because they'll let out a shrill whistle to warn other groundhogs of danger. Sometimes, instead of hiding, groundhogs will go on the offensive. Stay away from groundhogs. They can be aggressive animals when they feel threatened, and they have sharp claws. 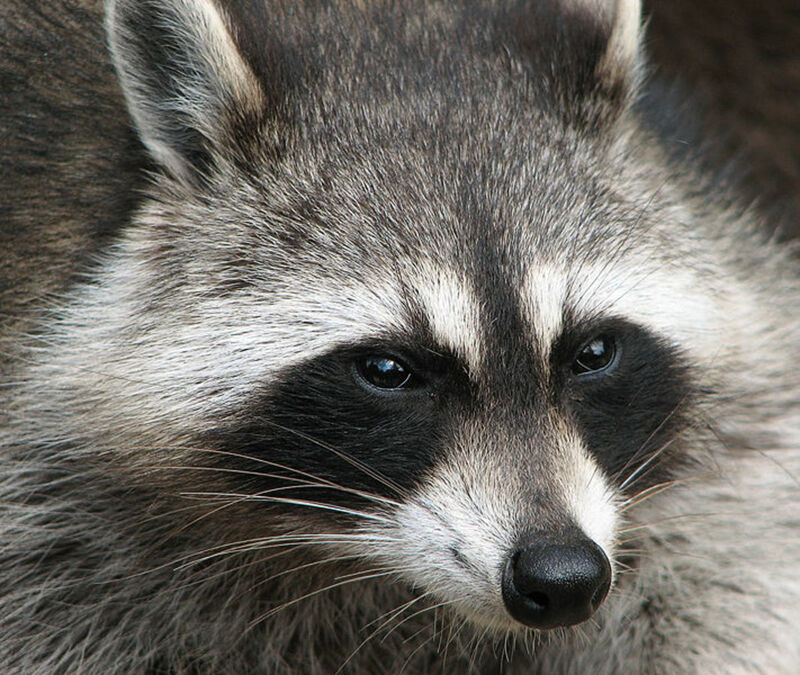 To them, everyone is a predator, which is yet another reason to oust them from your property. Does ammonia work on getting rid of groundhogs if you don’t mix it in with dirt? Can I just spray the dirt with it? Yes, just so you spray it in the area where the groundhog will enter or exit. How much ammonia should I use to get rid of groundhogs? I used half of a small bottle of ammonia. That sounds like a lot, but ammonia is cheap, and I would rather have too much than not enough. How can I ensure that the groundhog is out before I close a hole? I don't want to trap him under my house. Groundhogs can have tunnels two miles long. I think he'd just start another one to get out from under your house. Their holes also have an entrance and an exit, since they are tunnels, not just holes. I have a groundhog living under my house in a tunnel created between the floor joists. There is no tunnel apparent around my house. How the heck did it get in there, the entrance is a metal door? The only thing I can think of is to trap the animal. What if I only trap the adult groundhogs and leave the baby groundhogs? It will depend on how developed the babies are. If the babies are small, they could starve to death without the mother. If they are well-developed, they could learn to live on their own. Will moth balls keep groundhogs away? They probably won't like the smell, so maybe it will work. If it does, let me know. Damn, just get rid of these little creatures in a humane way. No need to kill them. They are literally just living with no bad intent.. being animals. Trap them without harm and relocate to an area that is in their habitat. Saddens me to see this stuff. I have a dog & a groundhog lives under my she'd, so the dog smell all around my yard doesn't deter it away. Ammonia did not work at all. I poured dozens of gallons of sudsy ammonia into groundhog holes over many weeks using a 6-foot tube to get the ammonia well down into the burrows. I also tried stuffing shop rags down into the burrows before pouring in the ammonia, hoping that the rags would absorb and trap the ammonia and its fumes. I also tried filling in the openings of the holes after each pour to trap the fumes. None of this deterred the groundhogs at all. They always just dug out their burrows and dragged out the shop rags. After about two months, I gave up on ammonia. The dog urine won't work to scare them away. I have a fenced in medium sized yard with a shed. I also have two AmStafs and a German Shepard so there is no shortage of pee or dog hair in that yard, not to mention the dogs are out there pretty regularly. These dum-dums keep burrowing under the fence and popping out under the shed though. Well, today the German Shepard caught one and shook it up pretty good before I could get to her and stop her. Groundhog was able to walk away, miraculously--probably because my Shepard has dulled her teeth so much on bones. I don't think that particular groundhog will be back (unless he's guano-crazy), but just having dogs or their urine around isn't doing anything to deter them. I honestly don't mind them because they don't seem to do any harm to anything in my yard, but it is disturbing seeing them get shaken around like that. I feel bad for the little guy. Thank god the two AmStafs were indoors at the time or that would've been a terrible mess to clean up with the three of them fighting over it. You could try putting carbon monoxide down the hole until either you killed the groundhog or you chased him out. Short of that, you'd need to pull up boards in the floor to get the pest. Groundhogs have more than one hole. Search for other holes that he may be using. Then try shooting him or trapping him. What if they are under your shed and you can not get to the holes? They ate part of the side of the shed. Debbie, I would think you would be safe doing this. Try the ammonia near the barn first. We cover the hole with dirt, so the ammonia is mixed in with the dirt the ground hogs would re-use. Check if the smell enters the barn. If not, you should not be afraid to use it near the house. We have groundhogs tunneling under my front porch and under the wall in the barn - I fear it may cause structural damage to my front porch and the barn!! I have tried the mothballs - left for a few months last year and now back. I think I will try the ammonia - but my fear is the odor will linger into my cellar and stink up my house!! UGH trapped 4 last year and took them miles away - I don't have time for this again - want my gardens in and intact! I saw a little one behind our fence yesterday and yes it did look cute. If you saw how large their holes are, you would not think so though. We have just been putting the ammonia in the holes and then covering them with dirt. It seems to be keeping them out, since they leave right after checking the hole. You have to admit they are so cute. In that video, it looks like not just one family but a whole family reunion has moved in! Jake, It is too bad that they make such a mess in the yard. Otherwise I'd just live with them. Thanks for reading. In my years of living in my current house (since '92) I dont think ive ever had a year without seeing some ground hogs. I always poured mothballs dowb the hole. That usualy scares em off but if I ever see one in my yard, a ruger 10/22 with high velocity rounds usually does the trick. And usually if you kill one, the rest leave. leprecaun, We live in a subdivision with 50 houses. We have the problem too and it can be disgusting. John, I've heard that works for moles. It should work for ground hogs then too. I have not tried this yet i don't like killing this way but i may have to they r under my deck. The- Quietwarrior, It is worth trying on moles. Thanks for reading and commenting. I wonder if this will also work for moles... Good article..
A Little Truth, My Mom has trouble with them tunneling under her pole barn, so she isn't happy at all. We're in Michigan too, so it must be a real problem here. Thanks for reading and commenting. Thanks, lots of good remedies to choose from! I've had ground hogs in two homes in Michigan. At the fist one, they all disappeared when we got a Great Dane. At the second, we just let them be since they didn't bother the grass or garden. The only problems were that they got so big, fat and complacent that I had to be careful not to run them over with my big commercial lawnmower; and potential interactions with the grandkids. Repub, Thanks for reading and commenting. I'll have to check yours out. Hi, good ideas, and you make a good point. could you read my writings? EuroNinila, Thanks for reading. We have shrews in the yard now. I guess they can't hurt anything though. I haven't heard of "have a heart" traps before. Thanks for sharing. Great hub, I can't believe people eat them though! We put "have a heart" traps in our yard for pesky little animals that eat our garden! Great hub, sharing! brmom68, Thank for reading and I hope one of these tricks works for you. We have a pocket gopher who likes to make an appearance in our lawn every now and again. I will have to try one of these tricks next time he shows himself (or a new mound of dirt pops up). Voted up, useful and shared. teaches, Thanks for reading. Along with the beautiful days of summer are some problems like this to deal with. Thanks for commenting. A friend of mine had these critters digging holes around the foundation of the home and they had to get animal control to help chase them out. Great advice on this hub, too late for my friend but I am sure others will find this helpful. Tim, I think you are right. So far the ammonia is working for me. Thanks for reading. Great tips! Sometimes I think the groundhogs watch what you plant and spot what they think you love the most and target those plants and eat them down the ground in the blink of an eye. CrazedNovelist, Thanks for reading and I hope you don't have to deal with them either. moonlake, They don't seem so cute when they eat all of your garden though. I'm hoping the ammonia is working and they find a new place to call home. But they're so cute. We had one on our land but when we started building a house he moved. Voted up on your hub. Good information I'm sure many people need.